Ryokan HOSTEL Gion will open in Higashiyama, Kyoto on Saturday July 14. 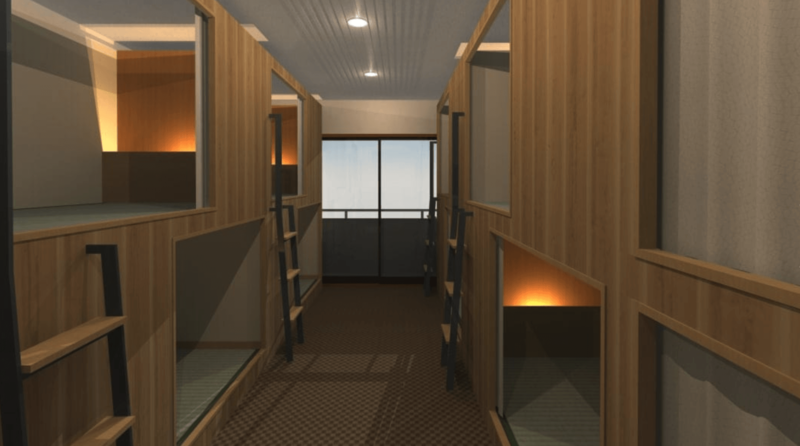 The hostel will take on the style of a Japanese inn, known as a ryokan. The hostel is like a dormitory and offers specially made wooden ‘capsule’ beds. The beds are spacious, have curtains and are much more private than regular bunk bed dormitories you will find in Japan. All of the mattresses are placed on top of tatami flooring to give that traditional Japanese feeling and functionality. The décor and appearance of the hostel as well as shared areas are all designed with the Japanese style ryokan in mind. The first floor lounge space in particular makes uses of tatami flooring. You can really feel that relaxing at-home feeling you get in a ryokan. They aren’t as strict with privacy as in capsule hotels where it’s possible not to see anyone at all while you’re there. Most of the staff are travel-lovers themselves and will hold regular events to encourage communication between guests. Several different rooms are on offer. 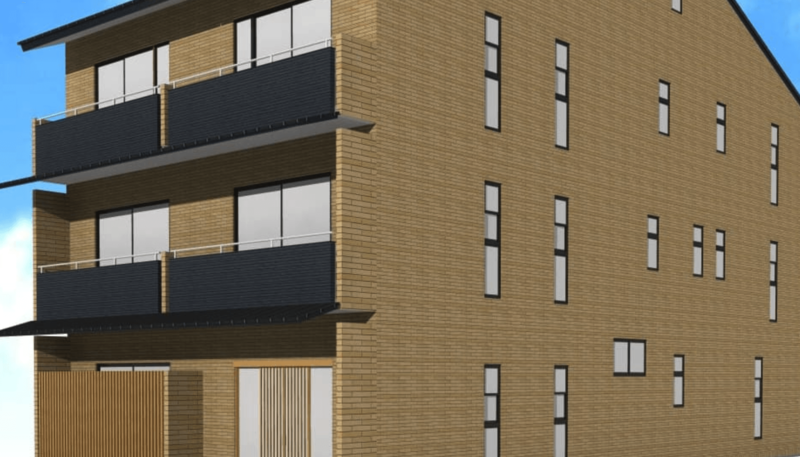 There are private dormitories that can hold up to four people with two rooms each, as well as single rooms that can accommodate two people who are looking for privacy. These rooms have bathrooms or shower booths as well as toilets (private dormitories). Private double rooms have unit baths and toilets. Consider staying in this Japanese-style dormitory while on your trip to Kyoto!